Depending on configuration you can store and display: on top, underneath and on crossbars. Paired in a row of two or three they make a beautiful coffee table, on either side of a sofa they are a necessity for resting my drink, and offer additional seating when I have guests over for cocktails, tucked in a corner they make a great pedestal for displaying books or a sculpture. I would argue the stools versatility demand a little spot light. 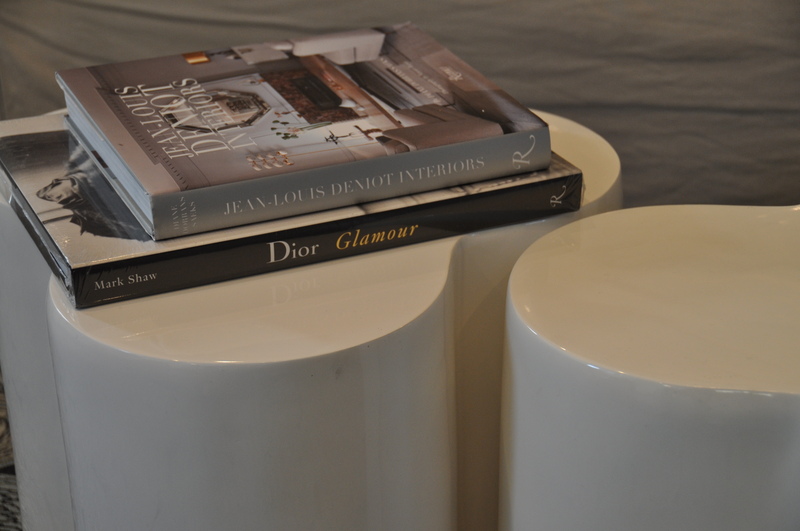 Image A showcases two European side tables – meant for the interior, but I used them on my rooftop until winter came. They easily work as a coffee table in my living room now. 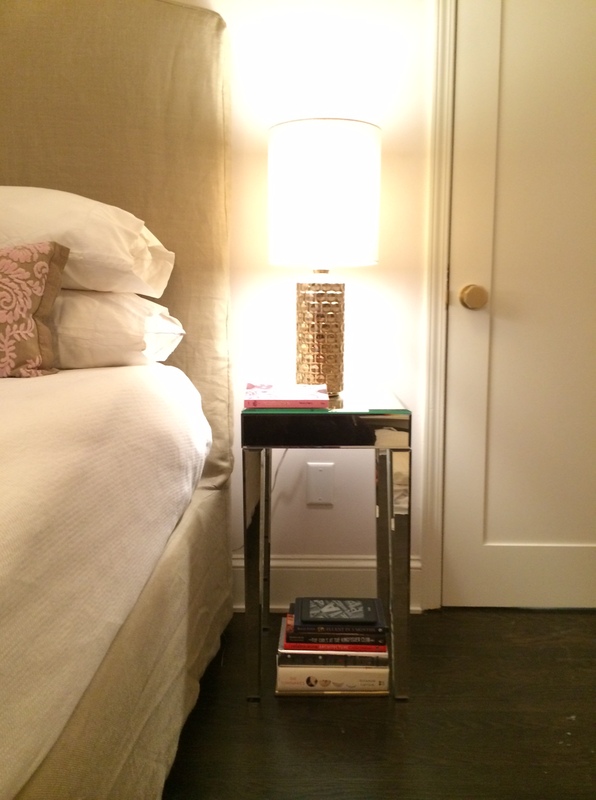 Image B showcases my beloved Waterworks side tables. A total splurge when I was making very little money. They cost me $600. a piece and are meant for a very wealthy home owners bathroom! I have used them as a coffee table, a side table, and for display. Image C. A Home Goods purchase for my roof deck ensemble, I had been coveting this likeness from a on-line store called Wisteria. 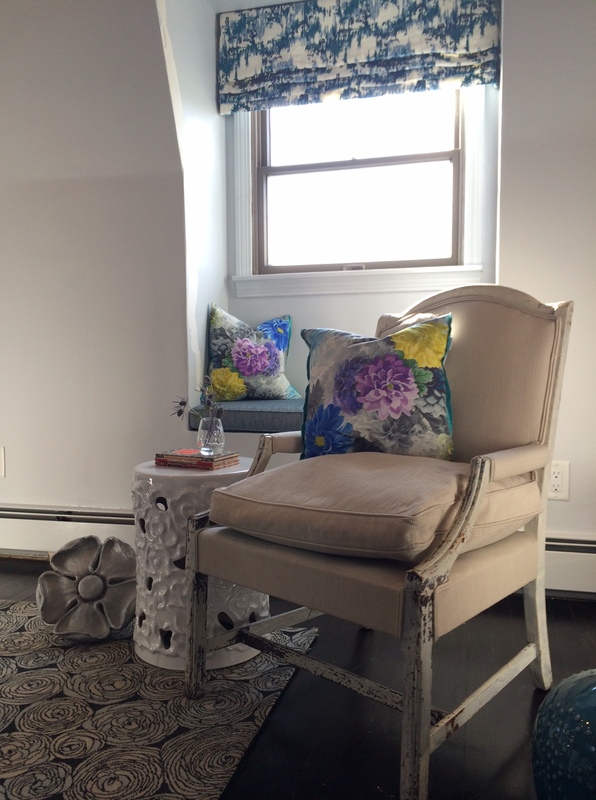 Great finds, really clean style, nice mix of trend and traditional, but the table was $279. More than I wanted to spend on the deck – I found it at Home Goods for $70. You will hear me talk again and again about my love of this store. They make noteworthy knockoffs and they make them fast. Visit one soon, and visit it often. If you find you’re just not sure….check out my site. I will post can’t miss – must haves on my blog. 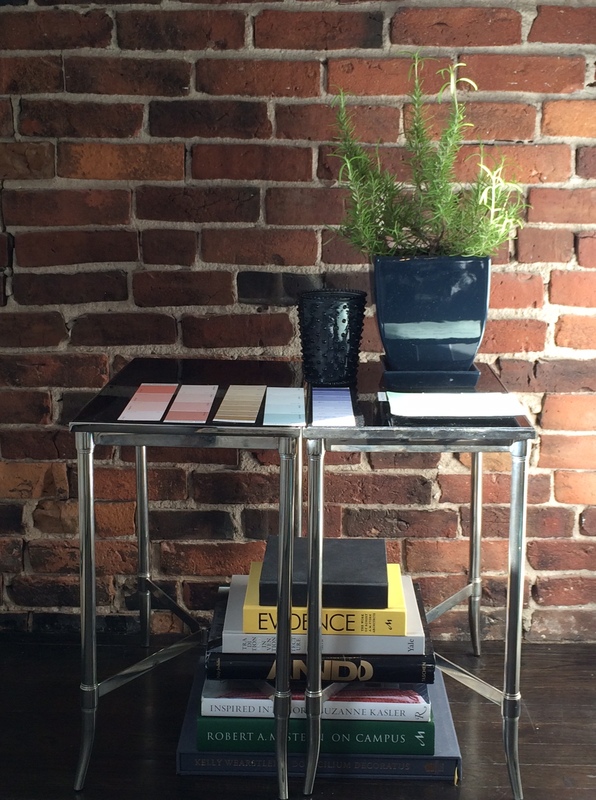 Image D. Mirrored Glass side tables from Target. I picked these up on clearance for $25. I have used them as my bed side tables ever since. 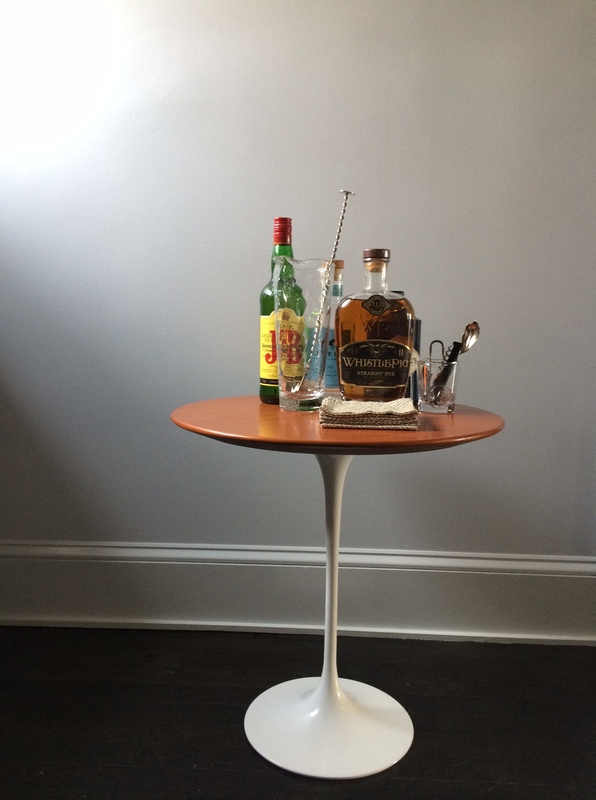 Image E. A Saarinen side table I bought at auction. It’s a modern classic and though I have no place for it, I simply could not let the guy that was bidding on that ugly clock call it his. So until I find a home that I know it will be happy in, I have adopted it! « On Display or Hidden Away . Closets are places too.